We found 3 episodes of More Than Just Code podcast - iOS and Swift development, news and advice with the tag “askmtjc”. This week we are joined by Tammy Coron, host of Roundabout Creative Chaos, and jump right into the lack of HiSpeed Internet in rural areas. We also discuss physical media vs digital online media. 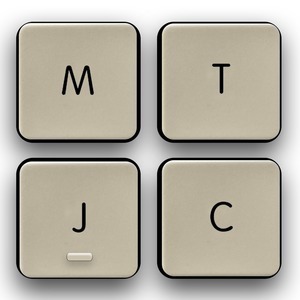 On #askMTJC we cover remote working and displays for oversize iOS Simulators. We cover the latest wikileaks about privacy exploits. We follow up on the Amazon S3 outage as well as the upcoming Apple's Spring 2017 announcement. We discuss starting into development as a senior citizen. We discuss Apple's rejection of apps built with frameworks that allow code modification after App Review. We examine Uber's MonoRepo post. Picks: Trip to New Zealand for Job Interviews, Moho, Creolabs' Creo IDE and Kite prototyping app.